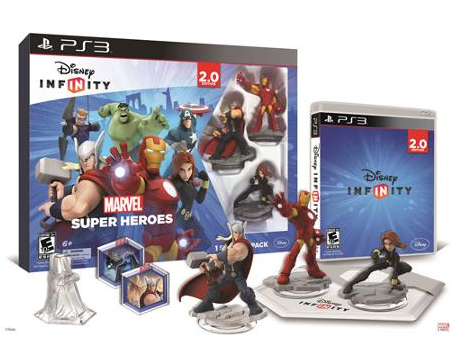 Disney INFINITY Marvel Super Heroes (2.0 Edition) Starter Pack Only $44.96 + FREE Shipping (Reg. $75)! You are here: Home / Great Deals / Disney INFINITY Marvel Super Heroes (2.0 Edition) Starter Pack Only $44.96 + FREE Shipping (Reg. $75)! If this is on your kids wish list this year, now is the time to buy! You can get this Disney INFINITY Marvel Super Heroes (2.0 Edition) Starter Pack for ONLY $44.96 + FREE Shipping (Reg. $75)! Just scroll down HERE to see all the gaming systems you can get it for!